Del 04 al 08 de Junio impartiremos el Curso Modelo OMI 2.07 Simulador de la Cámara de Máquinas con una duración de 40 horas cronológicas de 0845 a 17:45 de Lunes a Viernes. Tenemos cupos disponibles. Para más información enviar correo a calvarado@humboldt.cl o mescobar@humboldt.cl o llamando al teléfono +56 32 2202664. 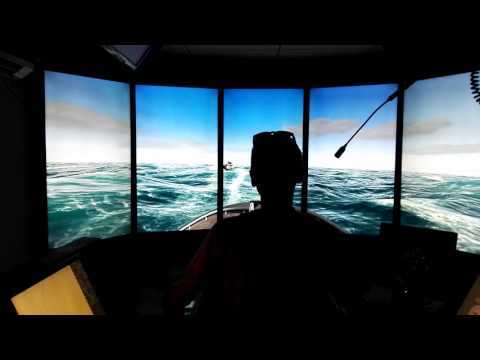 Valparaiso, July 23rd of 2015 – Twelve Students of Naval Engineering Degree specializing in Maritime Transport of Universidad Austral of Chile, visit Navigation Simulator, led by Senior Professor and Pilot of the National Merchant Marine Juan Condeza. This visit was intended to become familiar the students with the management of a Navigation Bridge and all electronics equipment that it comprises; making for it, sailing in the simulator through channels of Southern Chile. Valparaiso, July 2015: “Inspection and Repair of Ship structures” Course was performed from July 1st to 3rd of 2015, conducted by Mr. Manuel Gutierrez Arroba – Senior Principal Specialist of Lloyd’s Register. Attended by Captains, Chief Engineers, Superintendents of Humboldt and Antares Naviera, besides DIRECTEMAR Inspectors. Valparaiso, July 19th of 2015 – In our Bridge and Tug simulator Pilots from Valparaiso, Quintero and San Antonio, together with two Tug Captains from Quintero made practices maneuvers in simulated ports of Valparaiso and San Antonio. This meets the need to standardize communications between Tug Captains and Harbor Pilots in order to make safer maneuvers and maximize the capabilities possessed by Azimuthal Tugs. There are in training of Maneuvers with ASD Tugs Colombian Pilots from Barranquilla William Quiñones, Carlos Salgado and Leonardo Pinzon together with Tug Captains from Coltug. There are in training of Maneuvers with ASD Tugs Colombian Pilots from Barranquilla Jaime Martinez y Alejandro Henao together with Tug Captains from Coltug. From April 13th, 2015 we are performing the Course ASD Tugs Pilot for Tug Captains Moises Zeballos (Peru), Mario Dussan (Colombia) and Juan Peña (Colombia).